You'll stay the same size. This is a really scary thing to accept. Most of my clients who come to see me for intuitive eating understand that dieting and restriction isn't helpful, but they still want to lose weight. That's an uncomfortable place to be. Embracing intuitive eating means letting go of purposeful attempts at weight manipulation. Loving your body isn't a requirement for intuitive eating, but not engaging in an active pursuit of weight loss is. For most, accepting a body that's larger than a goal that you may have spent a good chunk of your life working toward, is a big part of the intuitive eating process. That process of acceptance can trigger what is essentially a grieving process. There's grief over the time and energy that was lost to dieting. For those whose suspect dieting increased their set point weight through weight cycling, or caused medical complications, there's grief for the body that could have been. There's also grief over the loss of the thin fantasy, this story they've told themselves about the person they could become after losing the weight. Back when I was a psych major, I learned about the stages of grief. A couple years ago, it popped up again in a training I did by Be Nourished, about grieving the loss of the thin ideal. It was really helpful for me as a practitioner to be able to better identify the feelings and emotions my clients were experiencing. For me, with my thin privilege, accepting health at every size felt empowering, because accepting my body meant accepting a body that's already culturally accepted. For those whose current weight isn't thin, or who are weight suppressed and need to gain, that's not the case. I hope that understanding these stages of grief gives you a sense of normalcy and understanding of some of the negative emotions you may be feeling, and helps move you along in your own healing process. Keep in mind, when you go through these stages, it's not necessarily in a linear process. 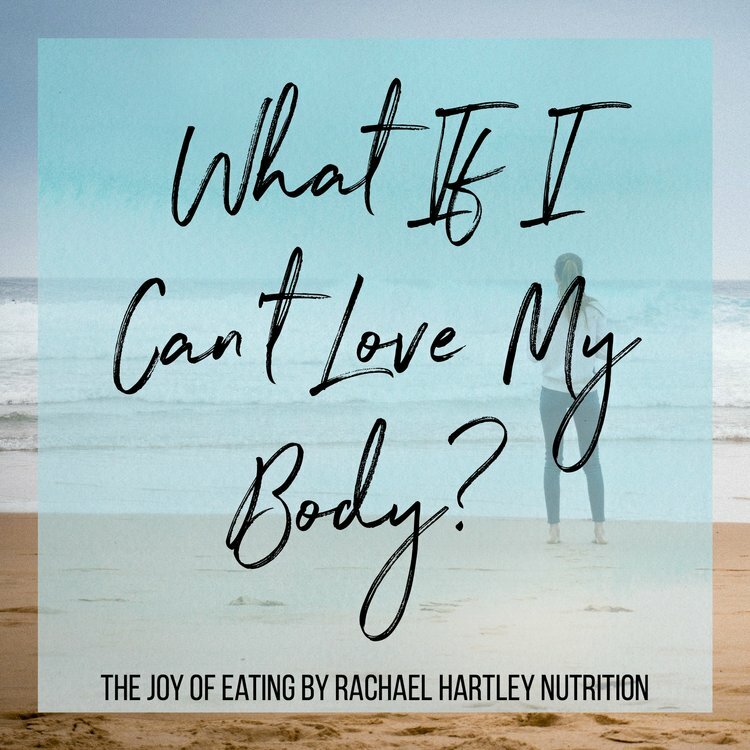 When first people come to intuitive eating and HAES, it can be hard to believe because it flies in the face of most everything we've been told. But even when we've accepted the science on a logical level, it can be easily to slip into denial. Most have heard the stat that 95-75% of diets fail and accept it as truth, but a lot more than 3-5% of people think they can be that 3-5% of "successful" dieters (note: I use quotes around successful because some, if not most, if that 3-5% are engaging in disordered behaviors to maintain their weight loss). Even after you've accepted HAES for yourself, it's very normal to slip back into denial after being triggered by someone elses weight loss story, or learning about a new diet trend. Diet culture is seductive. It's important to continuously educate yourself by reading books like Health at Every Size and Body Respect and following blogs and social media that promote HAES and intuitive eating messages. It's also important to protect yourself in this stage from things that are triggering for you. Create a cozy non-diet bubble you can retreat to with friends who don't engage in diet culture, and books, blogs, and social media that provide support. It's also important to remind yourself of the personal harm dieting has caused. 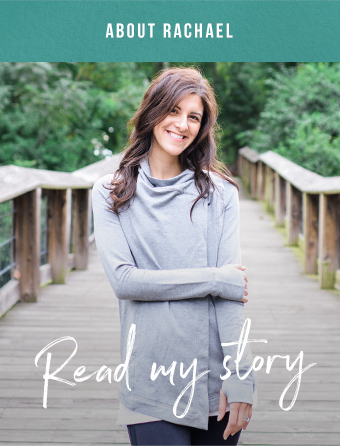 When I'm working with clients in denial, we spend time exploring their personal history with dieting, discussing what they've done to lose weight in the past, how it changed their body and for how long, and how they felt when they were dieting. It's one thing to know on a logical level that diets don't work. It's another to know from personal experience. This would also be a good time to engage in activities or counseling to detach your self worth from the scale. We're taught that anger is a negative emotion, but it's a really important part of the healing process. I think it's actually a really good emotion to feel - as long as it's directed at the right things. That means getting angry with diet culture and the diet industry, not with yourself. The diet industry deserves you're ire. They're making literally billions selling false promises and faulty products. They know their products and programs don't work - that's why they've stopped using the word diet and are starting to market "wellness." In this phase, remind yourself that it's not your fault that you're in a bigger body, or for engaging in diet culture for so long. You were told you can control your size, and that your current body isn't good enough - but it was a lie. That's something to be legitimately mad about. Let yourself feel that anger. Don't suppress it, or direct it inward. Again, IT IS NOT YOUR FAULT. Anger directed outward can help you move forward. Anger directed inward will hold you back. In this phase, do what you can to redirect anger to diet culture. I've had clients write letters before, expressing their anger at a system that stole so much from them. Meredith Noble, a coach I really admire, suggests engaging in activism at this stage, and I think that's a great idea. Get involved by sharing fat-positive or health at every size articles on social media, or write your own! You could also find an organization that promotes empowerment or eating disorder recovery to get involved with. In the bargaining phase, you might find new reasons for engaging in restrictive behaviors. For example, you might engage in dieting/restrictive behaviors, but say it's about health not weight, or say things like "I just feel more energy when I'm at a smaller size." Essentially, you're finding reasons to continue to engage in dieting behaviors. This is a good time to do more in-depth body image work to promote healing. If you haven't already, seek out a therapist or intuitive eating dietitian who has experience working with body image concerns. If that's not available to you, I highly recommend the Body Image Workbook, which I often use in my practice, or reading the book Beautiful You. Losing the thin fantasy of becoming the "person you were meant to be" after getting to your goal weight, can feel like losing an actual person. Of course, from the outside looking in, I know that a.) you area already enough and b.) you can do, see, achieve and become all those things in your thin fantasy, in the body you're in today. But when you're in this phase, that loss feels, well, depressing. I think a lot of that depression stems from feeling like the goals, hopes and dreams you've hedged on "once I lose the weight," suddenly feel off limits. If you think that you can only be in a happy relationship in a smaller body, that's depressing. If you think that you can only wear fashionable clothes you like in a smaller body, that's depressing too. If you think you can only engage in joyful movement in a smaller body, again, that's legitimately depressing. It can be helpful to identify what privileges you've associated with thinness, and start to pursue them now, in the body you're in. That might mean signing up for that 10K you've always wanted to do, learning where to find cute clothes in a wide range of sizes, or putting yourself out there in the dating world. If you're noticing feelings of depression, it may be helpful to find a community of support who understands what you're going through. There are many HAES focused facebook groups if you don't have friends who are in a similar place. I also encourage my clients to find body positive role models. It's really helpful to see people in a wide range of body sizes living joy-filled lives. I included a few of my favorite body positive accounts in this article. Eventually, there's acceptance. And while I'd love to say once you get there, you're there, but acceptance is a place you'll slip in and out of. It's normal to move in and out of stages. You may be in a place of acceptance, and all of a sudden find yourself in denial after being triggered by something. My best advice for this stage is not to get too comfortable. Be on the lookout for triggers and label them as such. Understand that falling out of acceptance is normal, so you feel less shame when it happens. But also, let yourself appreciate your body and have fun in it! Find joyful ways of moving your body. Allow your body to savory delicious and satisfying food. Express yourself with your body. Think of it as your home and create a cozy space for yourself. If you're new to intuitive eating and health at every size, please know that this is a hard process to go through, but so worth it. I hope this post will help you feel more "normal" about the uncomfortable feelings that may arise in the process. Again, if available to you, I highly recommend seeking out a therapist or dietitian who is trained in body image work to guide you through. *Amazon links in this post are affiliate links.